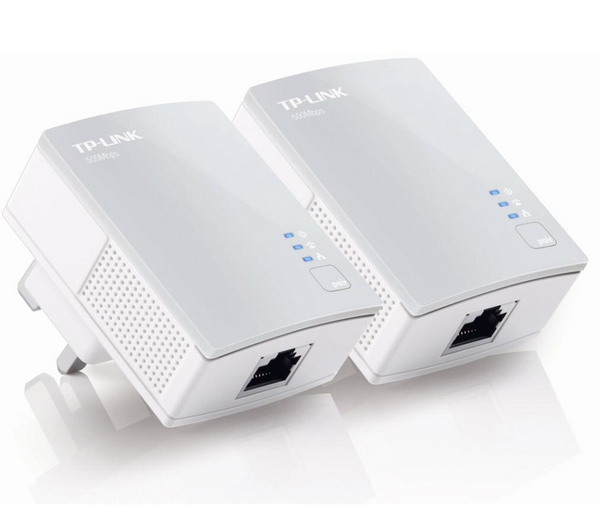 Transform your home's power system into a high-speed broadband network with the TP Link 500 Mbps Powerline Adapter Starter Kit – power sockets instantly become powerful LAN ports! Since the Powerline Adapter Starter Kit features speeds of up to 500Mbps, it has no problem sending multiple HD streams and even 3D movies to all the rooms in your house – a fantastic option to easily construct a home entertainment network. 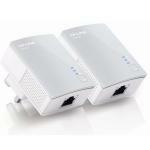 You get reliable, fast data transfer with the Powerline Adapter Kit thanks to its advanced HomePlug AV technology, with speeds of up to 500Mbps over 300 metres. Hook up all your compatible devices for a complete internet experience – computers, games consoles, set-top boxes and even compatible printers and hard drives. There's a 10/100Mbps Ethernet Port and built in QoS provides networking flexibility to give you stable IPTV streaming and online gaming as well. Another great feature of the Powerline Kit is that its modern, practical and sophisticated design includes a power saving mode that can cut down energy usage by up to 85% - much lower than other powerline adapters. 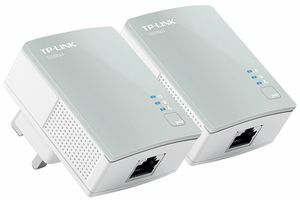 The TL-PA411KIT AV500 Powerline Adapter also lets you quickly and simply establish a secure network via the Pair button, which is fitted with 128-bit AES encryption for excellent network and data protection. The awesome QoS feature prioritizes your bandwidth according to which traffic setting you've selected – internet, online gaming, audio and video, or voice over IP. You're ensured of a crystal clear, quick and solid reproduction of your chosen app, even if you're running other applications over the network simultaneously. 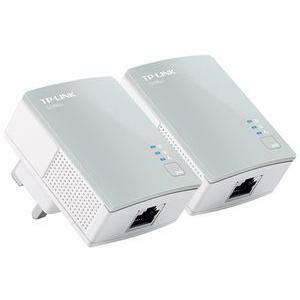 Take the fuss out of networking and get your home fully rigged up with quality broadband using the TP Link TL-PA411KIT AV500 500 Mbps Powerline Adapter Starter Kit.